Greetings, dear readers! I hope you've had a wonderful week thus far! For today's blog post, I wanted to share more items I brought back from my last trip to Cosmoprof North America. Let's do this! 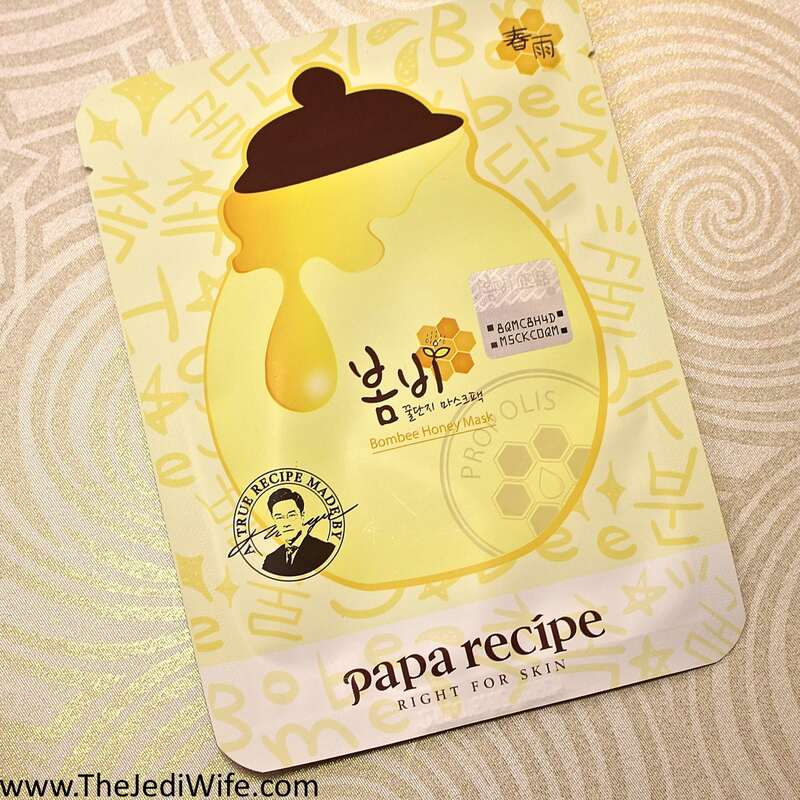 Today's blog post as all about Korean beauty brand Papa Recipe. Before I get into sharing the products, here's a sweet little fact for you: this brand was started by a father whose goal was to treat his daughter's troublesome skin issues after her birth. Now that is serious love and dedication to your daughter! The brand focuses on using organic ingredients that are gentle on sensitive skin, but let's be honest here- even if you don't have sensitive skin, why wouldn't you want to use something gentle? 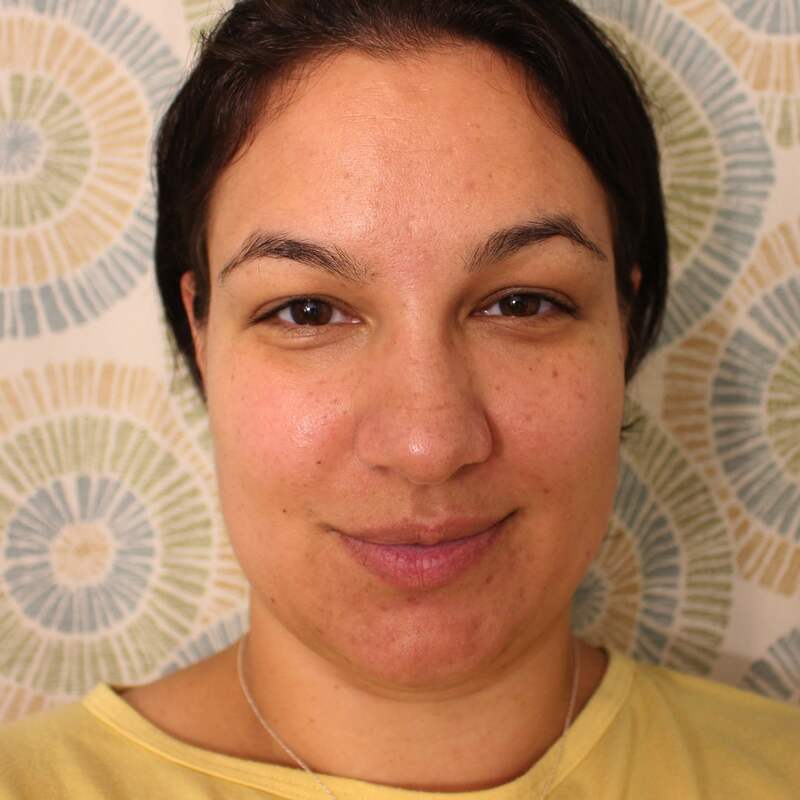 Maybe I'm a little biased since my face is sensitive to harsh ingredients, but I am a firm believer in using the least harsh ingredients you can get away with on your skin. Let's get a closer look at the items I tested out! I'm not really sure I'm the best person to test out their blackhead strip system since I practically never have blackheads, but since my gigantic pores on my nose do have prominent sebaceous filaments, I thought this might be worth testing out. This is a 3-step system, so if you want a one-step quick and done, you won't be interested in this baby. 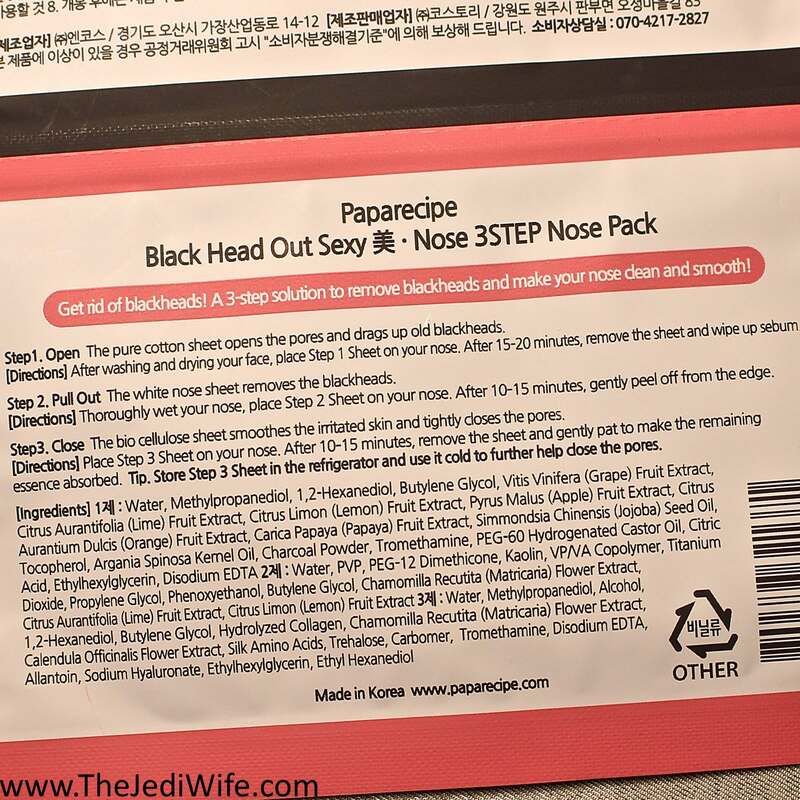 That being said, if you DO have a problem with blackheads, I hope you continue reading this post and give some serious consideration to this product! Here we are with Step 1. This strip is very wet, and there is no obvious texture difference between either side. I placed it on my nose and let it do it's thing for 20 minutes (recommended 15-20 minutes). 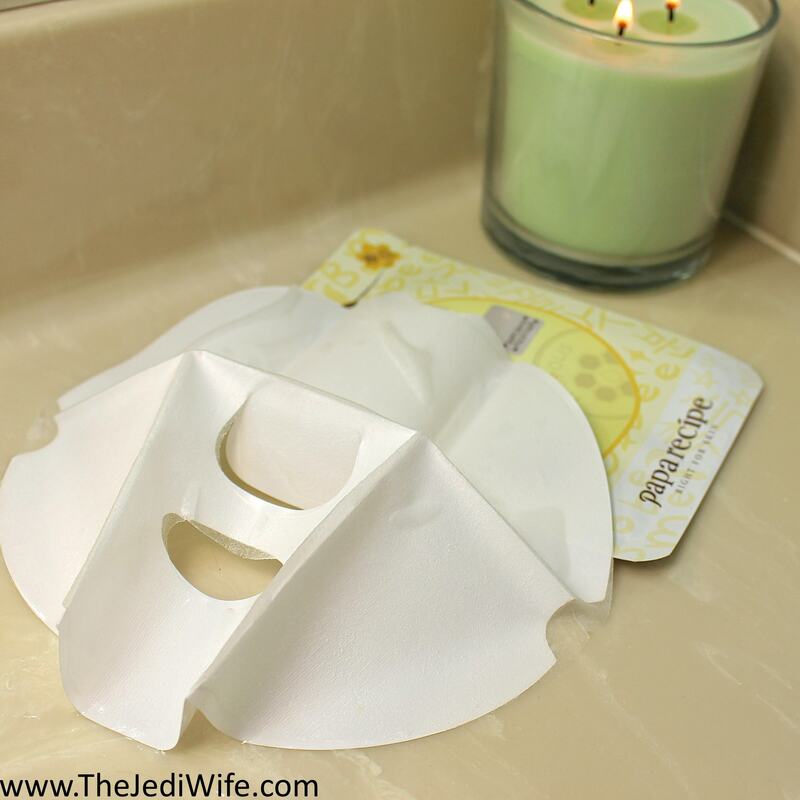 After 20 minutes, this sheet is still very damp, but because it is supposed to prep the skin with ingredients to help open pores and bring blackheads closer to the surface, that isn't too surprising. I wiped off the excess and moved on to the next step. 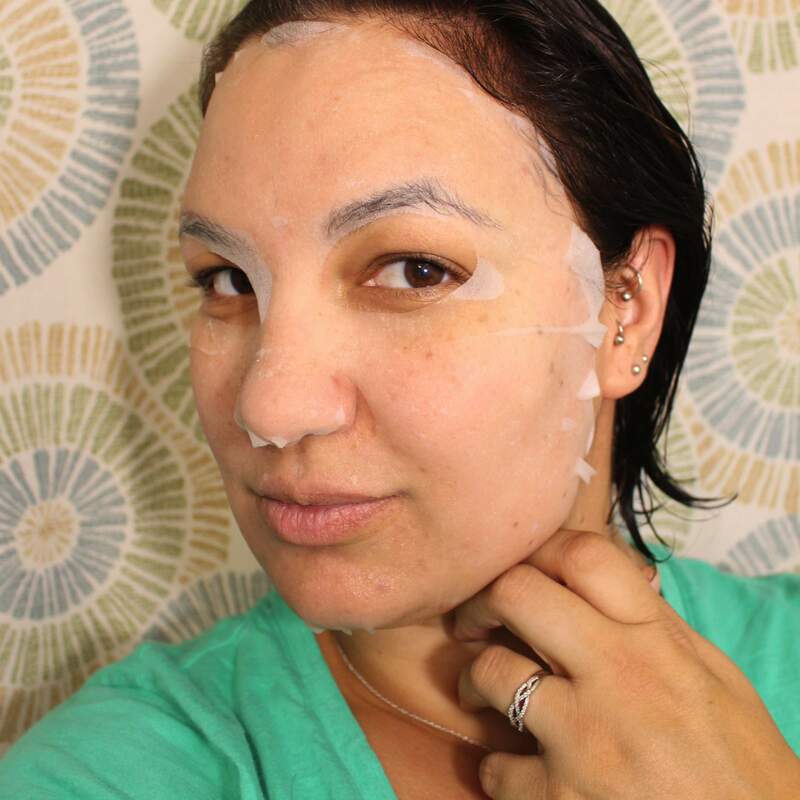 If you've used nose strips from the drugstore, this will seem very familiar to you. 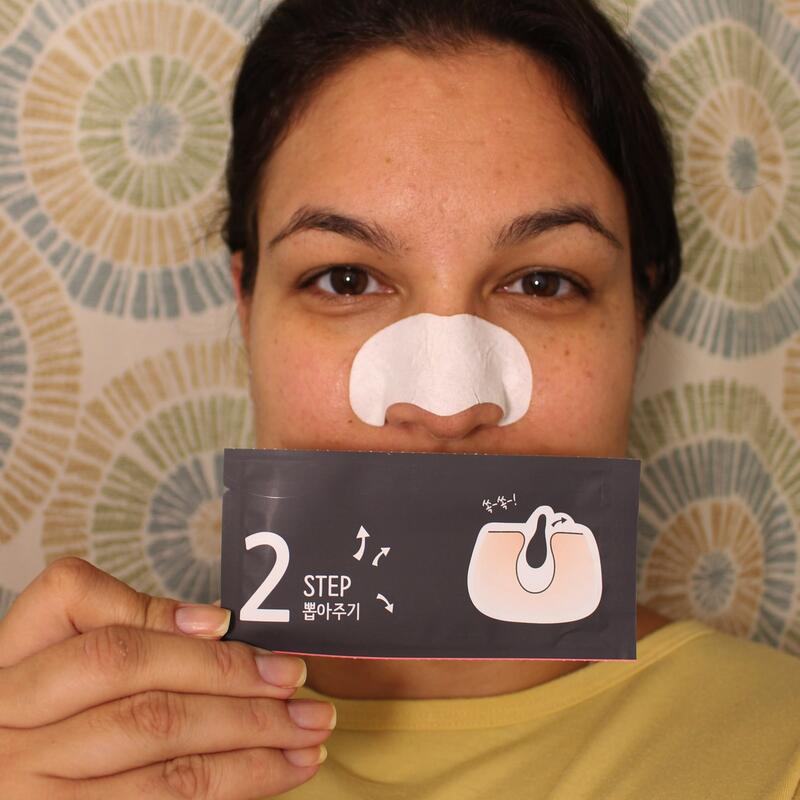 Step 2 is the strip that actually removes the blackheads. To start, I wet my nose by just dabbing water on it, removed the thin, clear backing on the operational side of this strip, and adhered it to my nose. After almost 15 minutes, it had dried completely on my nose and was ready for removal (directions claim 10-15 minutes so I'm still on target with no surprises). I then gently started at the outer edges to lift the dried strip and pull it off my face. This step has always been a little uncomfortable, almost bordering on painful on my sensitive skin, but going slow seems to be the best for me rather than yanking and tearing at my skin. Since I'm sure not all people are fans of Dr Pimple Popper, I'll spare you the gory image of what my strip looked like. It was predominantly the sebaceous filaments as I mentioned previously, but there were a few bits of gunk that came out as well. It was actually more than I normally see with the single strip method, so Step 1 must have done something! The skin on my nose was a bit red after this step, but this is nothing unusual for me with this type of treatment. Step 3 is the final step meant to soothe your skin as well as help close up your pores. This is where Im going to be *that* person and say that pores don't actually open and close, BUT I am a fan of anything that is soothing to my skin after potentially harsh treatment (and yes, pulling off a glued on strip does qualify as relatively harsh to the skin). I actually took the advice on the packaging and popped this portion in the refrigerator just prior to my shower and this process so it would be nice and cool for extra soothing measure. Step 3 is a biocellulose strip that is packaged between two other materials to help it keep its shape and not fold into itself. After you remove and discard the outer materials, one plastic and the other cotton, you are let with a strip with a gel-like finish that is very comfortable to the skin. Add in the cooling measure and it feels even better! After 15 minutes (recommended 10-15 minutes), I removed the strip and gently patted the remaining liquid essence into my skin. After all three steps, my nose looks better! A couple plugged spots got cleared out and the final step really soothes my skin and cut out the redness! I had never really given much thought before in using a three step system to clear out my pores, and now I'm left wondering WHY NOT! It makes so much sense to help prep your skin beyond cleaning in advance. 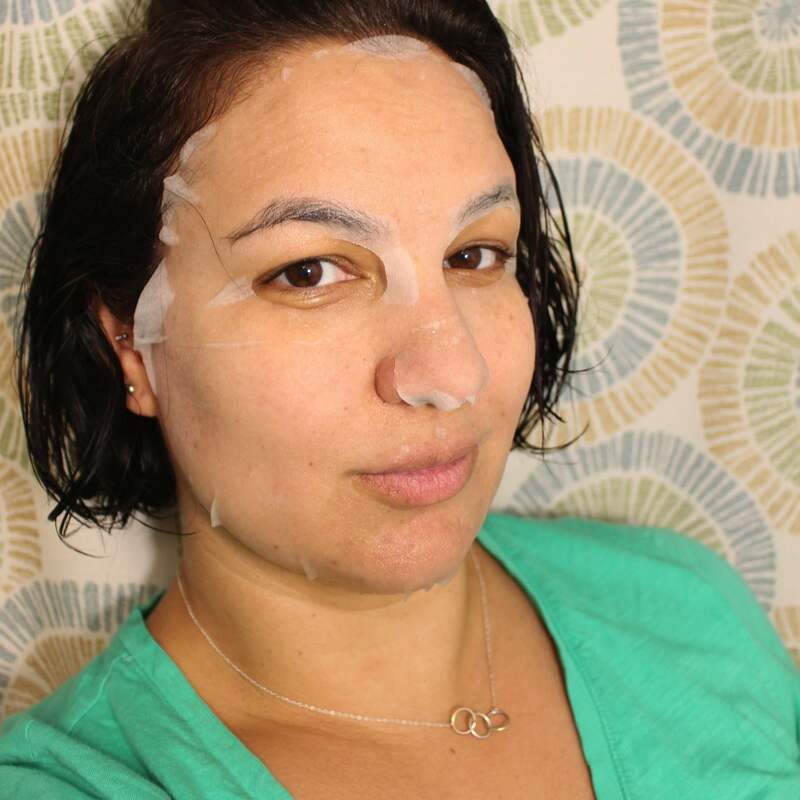 After any harsher facial treatments, I've always had followup soothing steps immediately afterwards, so it sounds like a great idea to do the same after using strips on your nose. I know I'm not going back to the single strip-method again after this experience! Papa Recipe has certainly sold me on this! In addition to the blackhead removal system, I also received full face masks to test on my skin. Papa Recipe. Their Bombee Honey line has apparently become very popular since its launch, and I can certainly see why! I had received two different versions and used the traditional Bombee Honey which I was told was better for combination/oily skin. Here is the ingredients list from the back of the packaging. This mask contains both honey and propolis, another product created by bees that is basically the sticky glue they create to build their hives. Both of these bee-derived products are fantastic for the skin as they are known to contain anti-inflammatory ingredients as well as have anti-bacterial properties. What this means is that no only are they good for skin in general, this can actually be helpful for those with acne-prone skin with consistent use. This is what the mask looks like when you remove it from the packaging. It is folded up and needs to be unfolded for placement on the face, of course, and it also have a firm backing that gets discarded. Ready for a fun photo? Here we go! I don't know why I love taking mask photos so much, but it really is so much fun! I smoothed this mask onto my face as best I could and let it work its magic. Please ignore the stray segment of hair that felt the need to get a mask treatment as well. It is not-so-subtly telling me it wants some tlc too. Another pose with the mask! I left this on for 25 minutes (directed 20-30 minutes), removed it, and gently tapped the remaining serum into my skin as directed. Even after just one use, I must say, my skin feels incredible! It feels so soft as this mask helps to moisturize the skin without clogging your pores as well as soothing any slightly dried out areas. The weather fluctuations have been giving my skin whiplash, and while it has never become dry, my cheeks in particular do appreciate that little extra boost in moisturization. 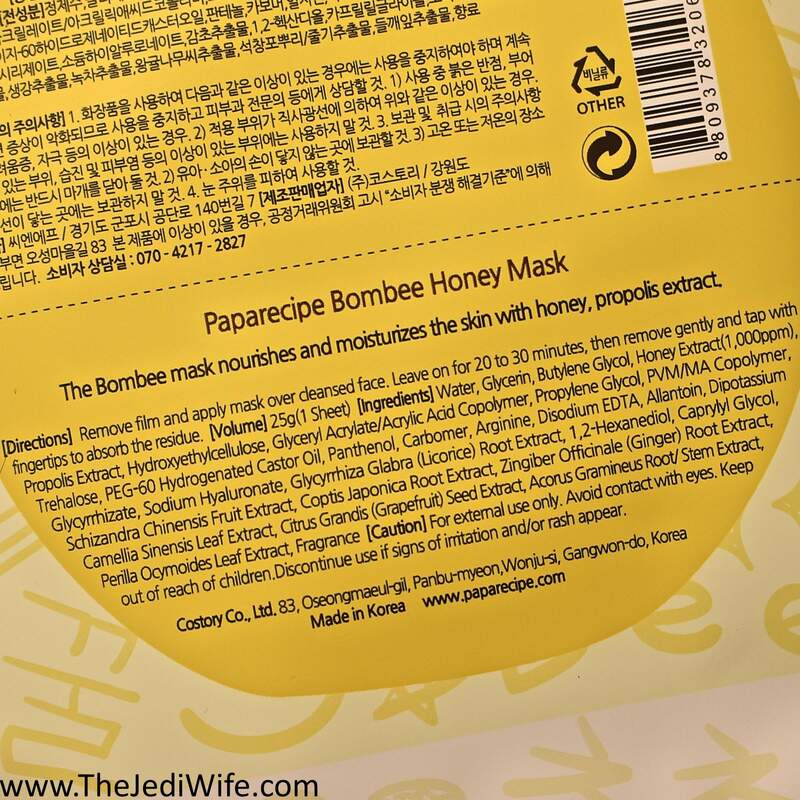 I was also given a Bombee Ginseng Red Honey Oil Mask. I was told this mask is better for those with drier skin types, so it went to a good friend of mine to try out since they doesn't describe me. Even though I didn't try it myself, I still wanted to mention in in this post as an option for those whose skin might need a bigger dose of moisturization. I really enjoyed trying out these new-to-me products from Papa Recipe! While my experience with K-beauty products is sadly quite limited, it is my understanding that this brand is quite popular in Korea! Based on my brief experience, I can certainly see why! I've actually seen this brand at my local Walmart recently and I have found these on Amazon.com as well. Alternately, you can see if your preferred K-beauty supplier stocks them or order these and other products directly from Papa Recipe. Have you tried any products from Papa Recipe? Do you use pore-clearing strips on your nose? Do you like skincare products that contain honey? I'd love to hear from you! The Red Honey Oil Mask sounds great. I need to check these masks out. I really wish I could use things with propolis in them. Everyone raves about honey masks but I think I'm allergic to it (at least in skincare). 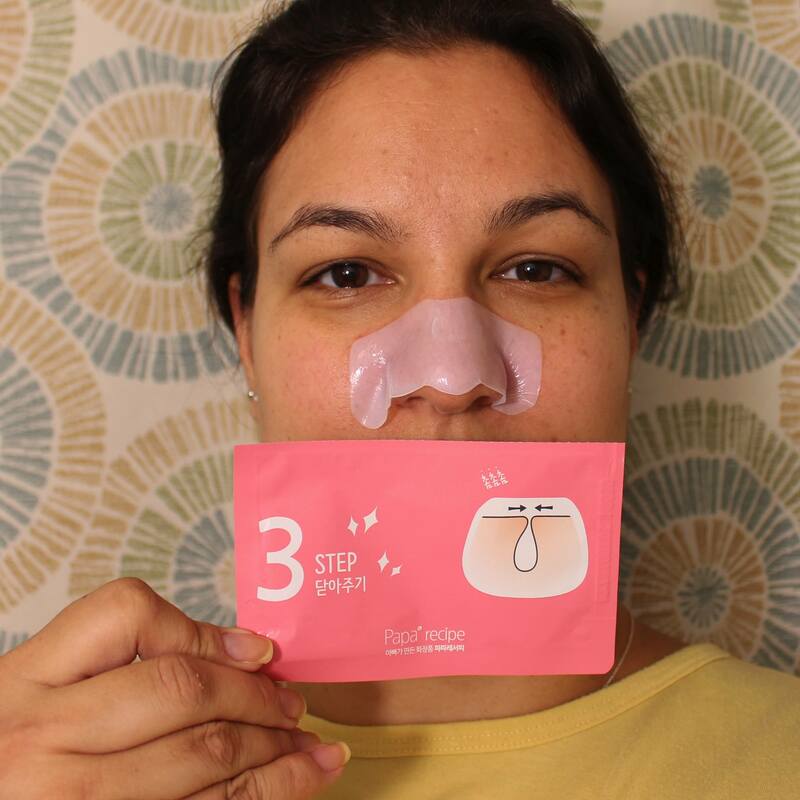 The three step nose strip sounds like a great item to use. I'd need it about every 3 weeks to keep more pores cleaned up. I love the packaging of these masks (and art work). :) You look adorable in the masks! I haven't tried papa recipe but these products sound divine. I must missed this brand at CosmoProf. 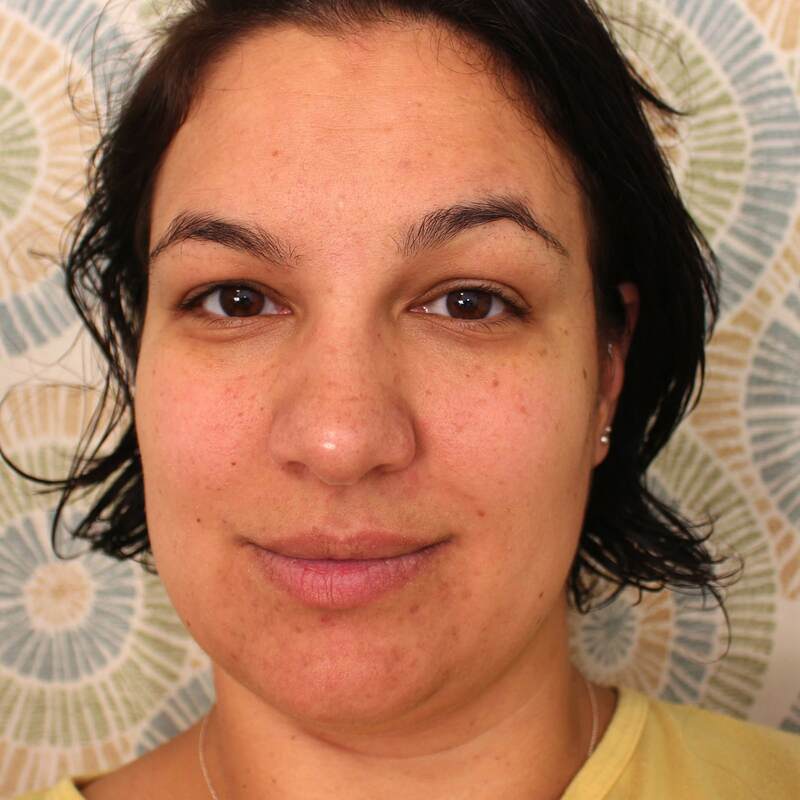 I agree with you, the 3-step blackhead treatment makes a lot of sense. 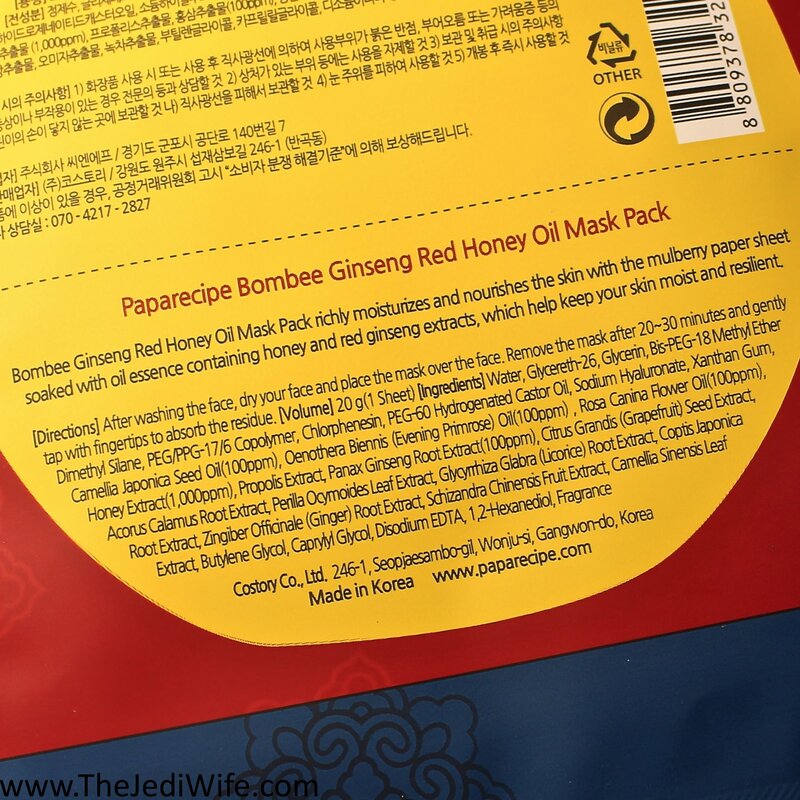 I'd like to try the Bombee Ginseng Red Honey Oil Mask. These all really look nice! The sheet mask looks like it stays on really well too! 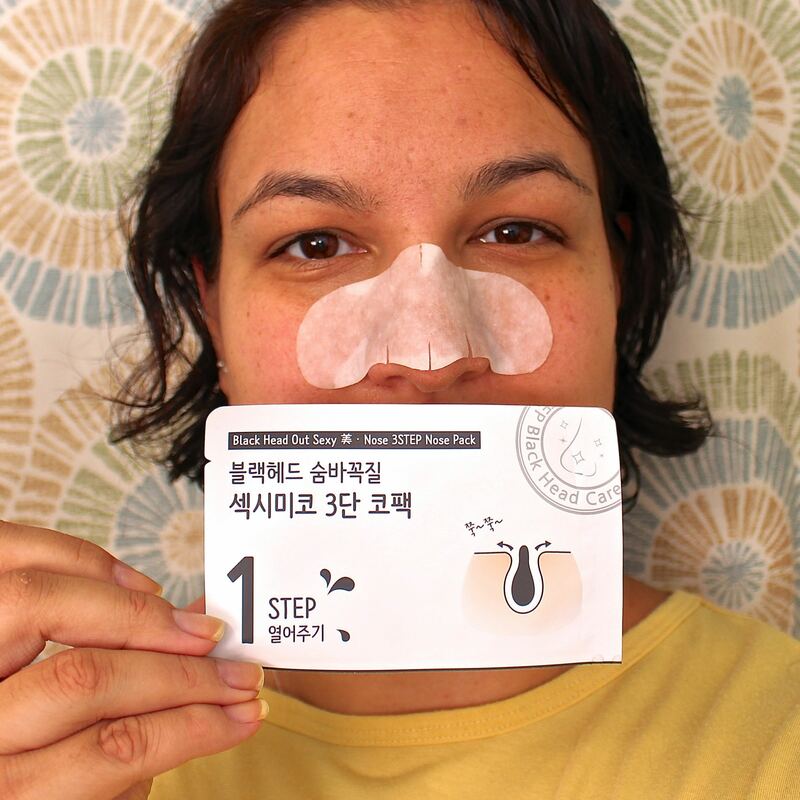 I love K-Beauty, i've even used the snail essence masks!!! These sound really cool especially the ginseng one. I love sheet masks! The blackhead remover sounds interesting, I love that it comes with several steps to help soothe those freshly-opened pores. Also, I love seeing them after they've been used! It's so grossly satisfying!